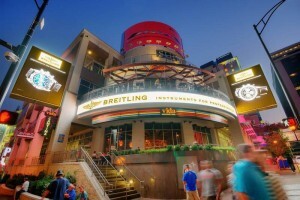 Charlotte, also referred to as “The Queen City”, is home to so many nationally recognized restaurants, hotels, bars and clubs…and each one provides a unique experience! Weather you’re just visiting or if you’re a resident of the area, you’ll have a long list of options for things to do during your time in Uptown. It can be overwhelming getting to know a new city, especially one as large as Charlotte, so for first-timers looking for a fun experience in Uptown, your first stop should be The Epicentre. The Epicentre is an eclectic one-stop-shop filled with three floors of venues for dining, drinking, gaming, shopping and more, where you can spend an entire day and be constantly entertained. With its own movie theater, bowling alley, multiple nightclubs and rooftop bars with live music concerts, plus its own parking garage, you could plan a family day trip or a special date night without the stress of travel and traffic. Looking for a quick bite? Try Moe’s Southwest Grill, Five Guys, or for health-conscious options, Grabagreen (just to name a few) for great tasting food with quick service. More interested in a fancy sit-down meal with the whole-9 experience? Studio Movie Grill is a dine-in movie theater that provides service at your seat! Fleming’s Steakhouse and Wine Bar is another notable dining experience… with 100 different wines to pair with mouth-watering chef’s choice steaks, topped off with excellent hospitality, you can’t go wrong no matter what you order here. Charlotte is known for its wide variety of craft beer breweries. In Uptown you’ll find breweries with tons of unique beers on tap, along with lounge areas where food is served and you can sit back and relax with a group of friends while tasting some of the city’s best brews. Some of the local’s favorites include Wooden Robot Brewery, Sycamore Brewing and The Unknown Brewing Co. (all just a few miles from the Epicentre). Uptown is lined with breweries and bars featuring many local crafts on tap, so weather you’re looking for craft beer or not, you will find it here! Aside from the breweries, the nightlife scene in Uptown is unlike any other in the Charlotte area. 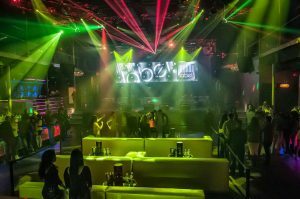 White House Nightclub (recently renovated and renamed from Tempo) is one of the more popular clubs in the area, featuring a 1500-person space for dancing and mingling until 2am. The Fillmore and the attached venue, The Underground, host a variety of artists and comedians both local and worldwide, alongside The Comedy Zone, Time Warner Arena and the AvidXchange Music Factory. Public transportation like the rail train, CATS bus, and an abundance of available taxis make it easy to get around the city for a day tour without having to waste gas and worry about finding parking. Catch an inexpensive Uber ride around town if your style is bar-hopping all night, or stay at one of the many attractive hotels in the area like the Hyatt House, Hilton Garden Inn, The Omni Charlotte, or the Aloft Charlotte at the Epicentre. Of course, some of the best action in Uptown is caught during the day, too! 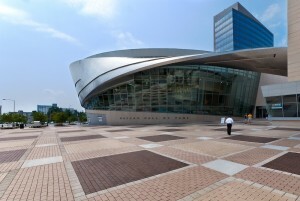 Before heading out for a night on the town, visit the NASCAR Hall of Fame, just a short walk from the Epicentre and right down the street from the BB&T Ballpark where Queen City’s home baseball team – The Charlotte Knights – play. Weather or not you’re a big NASCAR fan, the Hall of Fame is definitely a must-see and a big check off the bucket list. Not only will you find historic cars and tracks, shrines for iconic drivers and large-screen displays of famous races, you can also sit down and grab a bite to eat at the Pit Stop Cafe and purchase souvenirs and memorabilia from the Gear Shop. Have a birthday or anniversary you want to celebrate in a big and memorable way? Rent out a room at the Hall of Fame to host your event! The NASCAR fan in your life will be thanking you forever for throwing them a party where they can eat their meal next to their favorite inductee’s car and be surrounded by all the NASCAR history they could ever ask to see. More into nature than people? Take a walk through one of the many landscaped parks outside the circle of Uptown shops, like Romare Bearden Park, Elizabeth Park or Thompson Park. If you don’t mind a short drive, visit Latta Park where there’s hiking/biking trails, sports facilities, playgrounds and picnic shelters. Bring the dogs, the kids, and/or the whole family for a nice day outdoors surrounded by nature. Charlotte city has been rated among one of the best cities in the U.S. to live, and locals would certainly agree. Uptown is one of our favorite places in the city both for living and/or visiting, since it is so versatile! Uptown has something for everyone, and is well worth the visit. Leave us your comments and let us know what your experiences are with Uptown, some of YOUR favorite places to eat/drink/stay/play, and what you think about Charlotte city overall!